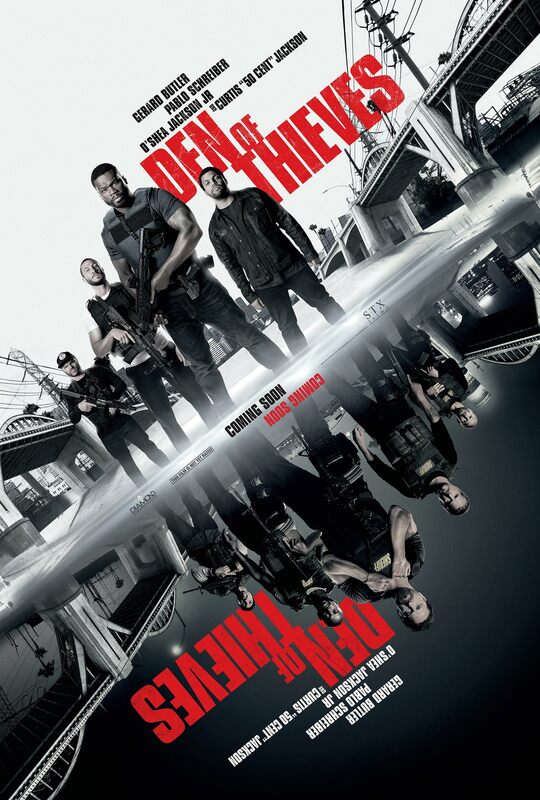 Brief Synopsis – An elite police unit tries to stop a group of ban robbers after they steal an empty armored car in a shootout with police. My Take on it – I am a big fan of films in the heist genre and always know how to enjoy a good heist film. This film unfortunately aspires to such a level but desn’t manage to get anywhere close to it along the way. The twists and turns in this film doesn’t come across realistic enough and overall the film doesn’t manage to stay as intriguing or engaging as one would hope. I’m a big fan of Gerard Butler in action films and he just feels extremely miscast in this role even if it had to gain weight to make us not immediately recognize him. This is a film that tries to come across as being a part of the top echelon of films in the genre and it pays homage to many great heist films along the way. Unfortunately, this storyline is too weak and comes across as sub-par the entire time instead of taking a step in the right direction for greatness. This is quite sad because beneath the surface, this film does show much more potential than it manages to present. Bottom Line – Interesting idea that just doesn’t stay as intriguing and engaging as a heist film like this should. The characters aren’t developed well enough for us to care what happens to them at all. Butler is miscast in this film and is much better in pure action films instead of crime thrillers like this. This film obviously takes many cues from some of the great heist films yet never manages to raise above feeling sub-par.